Figure 1 : Plant representation. Latin name: Coptis trifolia (L.) and its former name is Coptis groenlandica (Oeder) Fern. Common Names: Goldthread Greenland, Sabouillane, Sibouillane, Gold-thread. 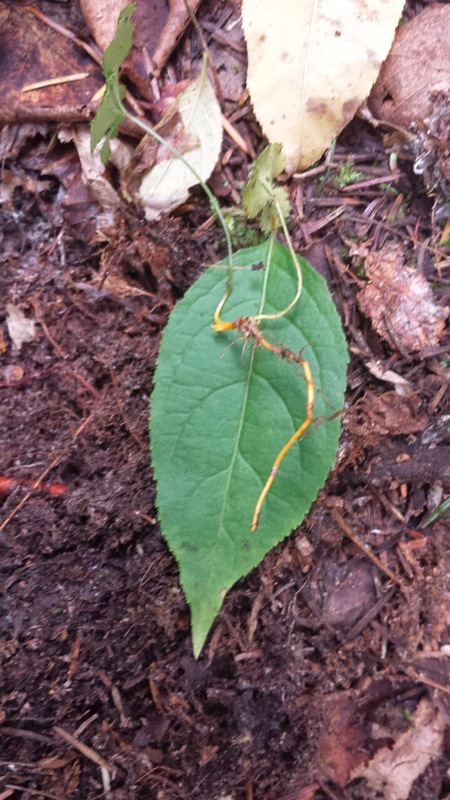 Small herbaceous perennial with rhizomes slender, wiry and yellow gold (Figure 1). The leaves of this plant are basal, long-stalked, glossy superiorly (Figure 2)1. The Coptis trifolia is very common in the undergrowth of the boreal forest and widely known for its biological properties. Most studies deal with the active compounds in the rhizome of this plant is recognized several alkaloids (berberine, palmatine, jatrorrhizine, coptisine, columbamine and epiberberine)2 for their many properties. 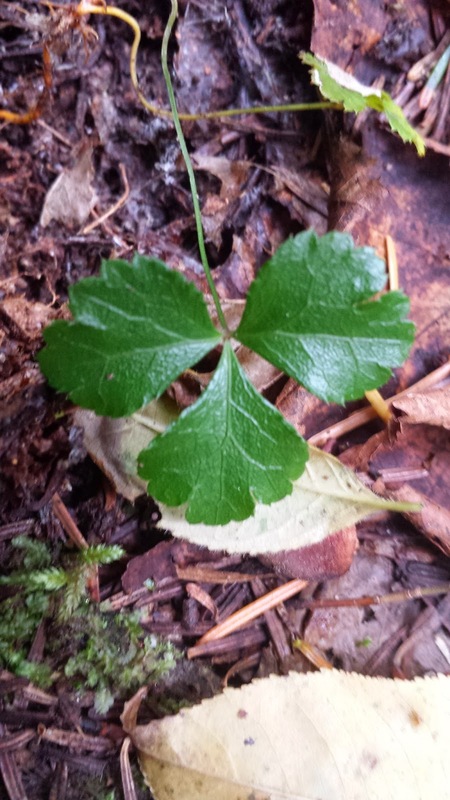 Berberine is the molecule which is found in greater quantities in dry rhizomes C. trifolia (5.20 to 7.69 % w / w)3. Berberine is known to treat various intestinal infections, to be antibacterial, antiviral and anti-inflammatory3. Recent studies also show that berberine possesses anti-tumor properties and relatively high cytotoxicity4 and would be a good candidate as a general antineoplastic agent (anticancer agent)3. On the other hand, the use of various forms rhizomes (infusion, decoction, etc.) is listed in the literature widely ethnobotanical uses of Native American tribute Iroquois5, Micmac6 and Algonquian7. The biological activities attributed to these concoctions are relieving digestive disorders, treatment of respiratory problems and heart, relief of fever and toothache5–7. Fresh Bitter roots were chewed and it could also help heal sores inside the mouth often caused by tobacco use. The yellow rhizome also used for dyeing skins of native americans (indians)1. (2) He, Y.; Hou, P.; Fan, G.; Arain, S.; Peng, C. Comprehensive Analyses of Molecular Phylogeny and Main Alkaloids for Coptis (Ranunculaceae) Species Identification. Biochemical Systematics and Ecology 2014, 56, 88–94. (3) Tang, J.; Feng, Y.; Tsao, S.; Wang, N.; Curtain, R.; Wang, Y. Berberine and Coptidis Rhizoma as Novel Antineoplastic Agents: a Review of Traditional Use and Biomedical Investigations. Journal of ethnopharmacology 2009, 126, 5–17. (4) Lin, L.-T.; Liu, L.-T.; Chiang, L.-C.; Lin, C.-C. In Vitro Anti-hepatoma Activity of Fifteen Natural Medicines from Canada. Phytotherapy research : PTR 2002, 16, 440–444. (5) Herrick, J. W. Iroquois Medical Botany, State University of New York, Albany, 1977, p. 322. (6) Speck, F. G. and R. W. D. Utilization of Animals and Plants by the Micmac Indians of New Brunswick. Journal of the Washington Academy of Sciences 1951, 250–259. (7) Black, M. J. Algonquin Ethnobotany: An Interpretation of Aboriginal Adaptation in South Western Quebec; Canada, N. M. of, Ed. ; 65th ed. ; Ottawa, 1980; p. 167.